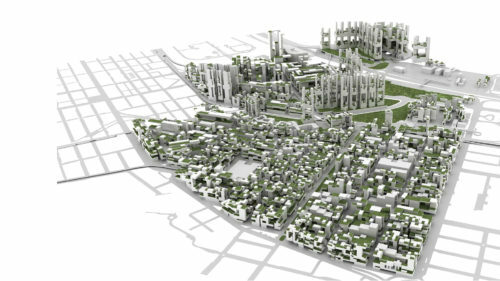 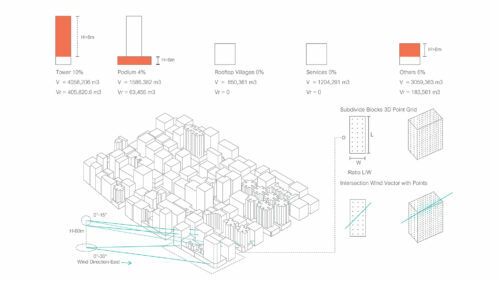 Adapable Morphodynamics addresses the development of complex high density urban systems over space and time. 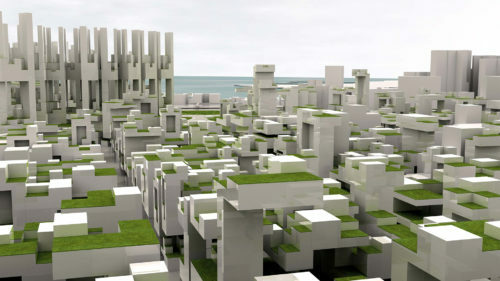 Building morphologies can be conceived as living organisms that change in form, shape and structure through the interaction of physical, informational and geometrical processes. 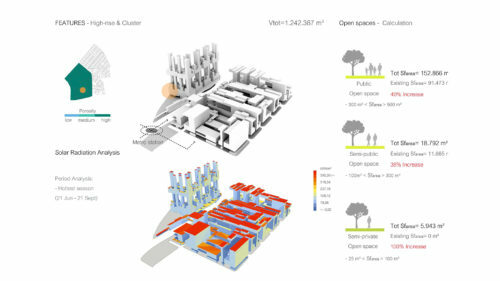 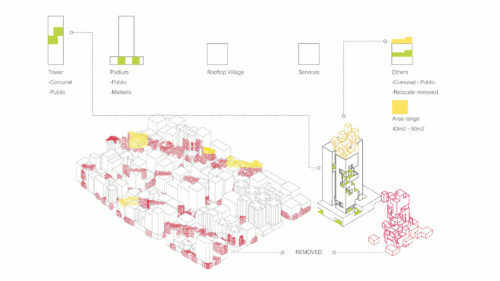 This research focuses on density, environmental quality and spatial identity. 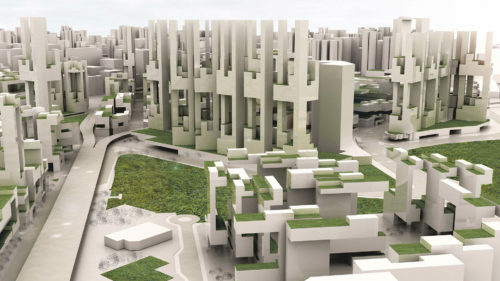 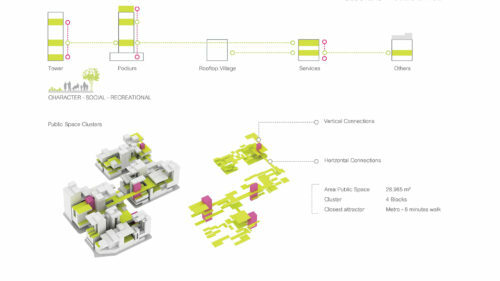 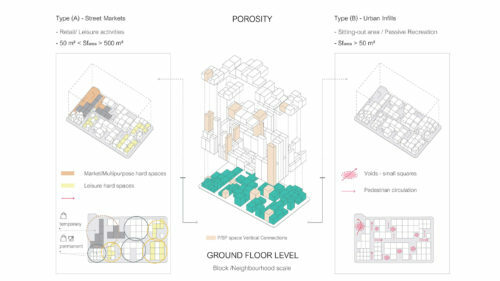 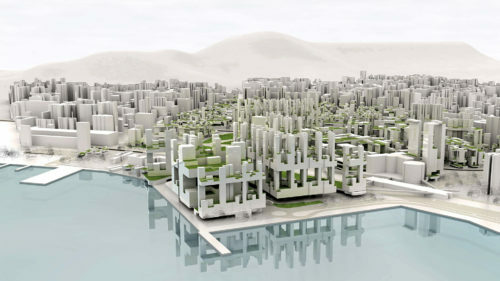 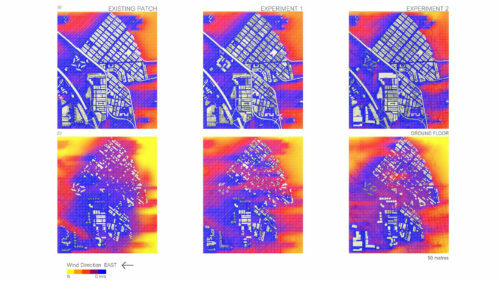 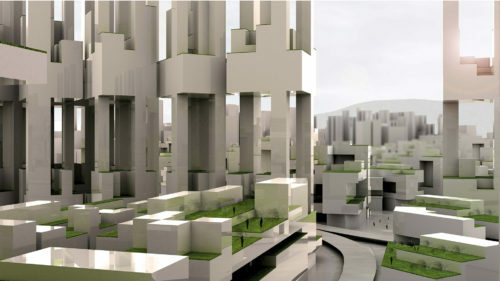 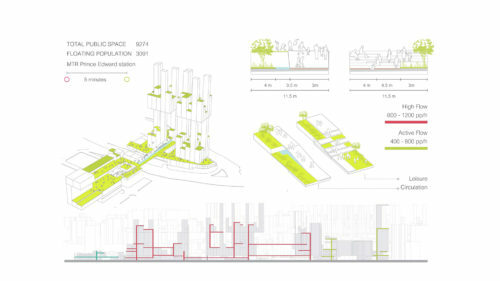 These studies are extended to present-day Hong Kong and addresses a design system that aims to reinterpret spatial logics, connected with local socio-cultural attributes, into a set of rules and code for an “intelligent densification”. 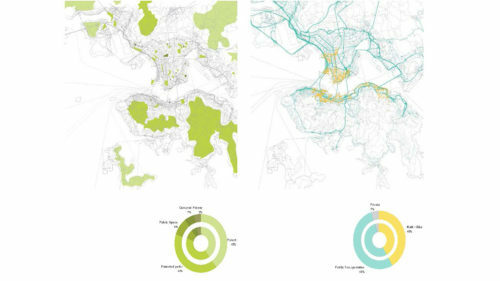 From the data gathered, two strategies are developed in parallel and as they become more defined, they begin to inform one another until a holistic urban approach is developed. 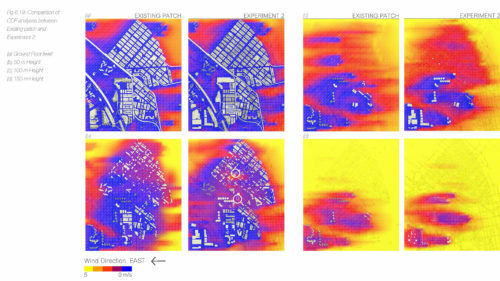 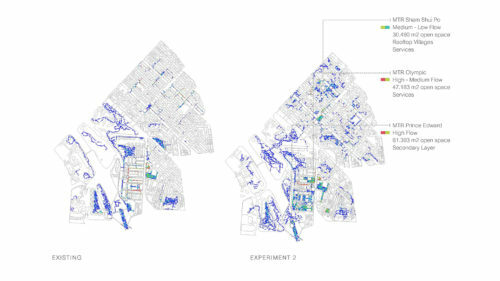 Urban porosity and Urban growth at different scales (neighbourhood, plot and building) become the key design tools to achieve environmental performance, in terms of urban ventilation, housing public programmes, and maximizing pedestrian and bicycle accessibility for all people through a fluid mobility network at ground and multiple layers of connectivity. 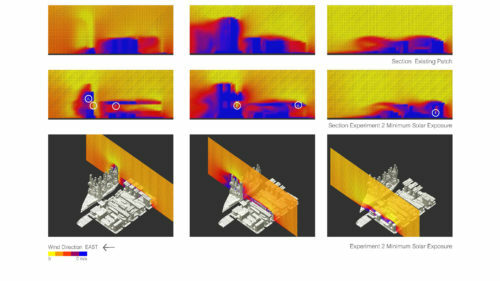 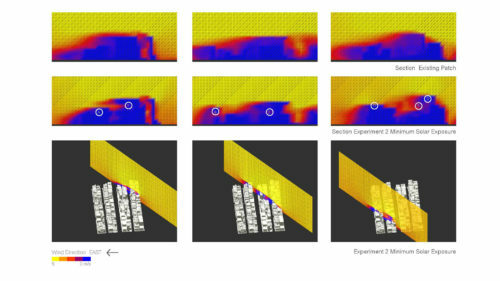 Existing building morphologies are transformed computationally into porous organisms and are used to construct accurate models of growth for regaining the lost demographic pressure. 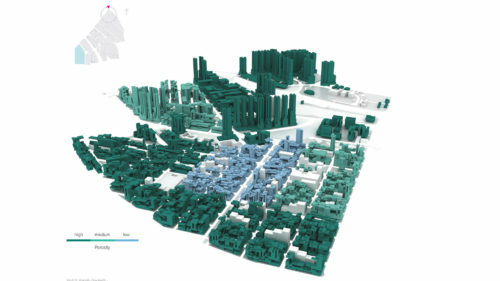 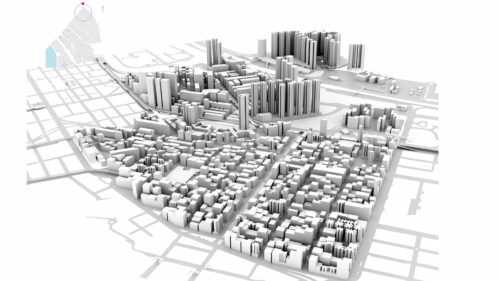 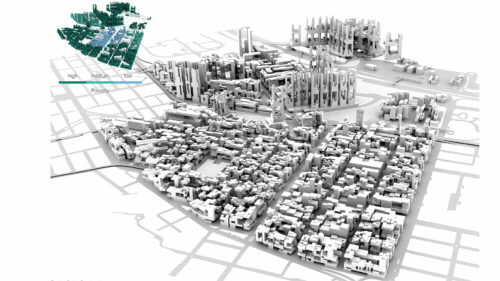 Multi-objective evolutionary algorithms are employed to generate a complex urban design model. 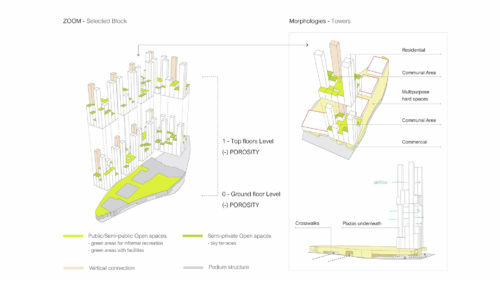 This is characterized by the emergence of public green areas, integration of socio-cultural amenities within the existing building morphologies and by generation of a comfortable outdoor microclimate, at different operational scales. 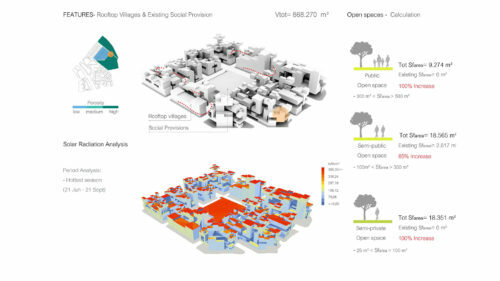 The improvement of the well-being of the urban population could be achieved through a spatial approach based on principles of social inclusion, especially in the most deprived areas of the patch, characterized by illegal and informal settlements, known as “rooftop villages or sky-slums”. 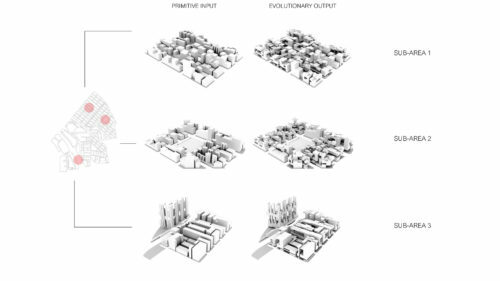 The main target, in the long term, will be to develop an “urban intelligence” that takes into account the mutual relation between demographic demand, site constraints and the potentialities and limitations of the architectural targets.